If I take honey supers off to treat with Apivar, what is the best way to handle the supers during the waiting period? The frames won’t all be harvestable. How best to store them? A: The label instructions for many Varroa control products, including Apivar, caution that honey supers must be off the hive during treatment and for a certain period afterwards. Most beekeepers time applications of these products for early Spring, before supers are on the hive, or (as is my practice) for later in the Summer after they are removed. My advice to you is to do an alcohol wash, if you have not already done so, to determine what your mite load is. If the infestation is light and you can afford to do so, the simplest thing would be to wait until after you harvest honey and treat then. For a moderate mite count, you could consider using an interim application of a miticide which can safely be used with supers in place. Having knocked down the numbers sufficiently, you could then follow up with Apivar after taking your harvest. If you have a serious infestation which requires immediate, effective treatment, then the problem of storing the supers requires some serious consideration. The first concern in storing any drawn wax comb is damage from insect pests, in particular wax moth and small hive beetle larvae. In the Summer, these pests are so prevalent in hives in that any comb left unprotected is likely to be quickly invaded and destroyed. Even comb that appears to be pest free may contain eggs of one or both. In the hive, hatching moths and beetles are removed or contained by honey bees, but once comb is taken off and stored, it is vulnerable to damage. Beekeepers who sell comb honey often freeze it after packaging to destroy any wax moth eggs which might be present. The appetizing appearance of clean, white wax filled with sweet amber liquid is significantly marred by the presence of wax moth larvae crawling about on the same wax in a store display or on a kitchen shelf. 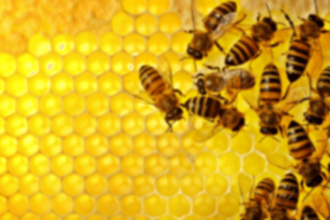 To protect the wax in extracted and stored honey supers, many beekeepers use the chemical paradichlorobenzene, sold by beekeeping supply companies as Para Moth. (See the caution in my other answer in this article.) However, Para Moth is not suitable for use on comb which contains honey for human consumption. Another method beekeepers sometimes use is to stack stored honey supers in a room, kept well lit 24 hours a day, in a crisscross fashion which allows light to penetrate into all the boxes. Wax moths prefer to lay their eggs in dark corners. The problem you have posed, that of storing frames of comb with honey, is more complicated, especially since you describe some of the honey as unharvestable. It sounds as though some of it might be uncapped, with a moisture content above 18%. One of the wonderful properties of honey is its long shelf life – we are talking centuries – though after a time the flavor becomes too strong for the taste of most people. A high moisture content reduces the shelf life to a matter of weeks, at most, before the honey is at risk of fermenting. If, in fact, some of your honey is over 18%, your storage options are greatly limited. I think the only possible storage method for comb containing nectar or high moisture honey is to freeze the frames, provided that you have enough available freezer space. Freezing not only kills wax moth and small hive beetle eggs and larvae, but also prevents the onset of fermentation. After thawing, the frames of comb can be placed back on the hive. If that is not an option, I suggest removing any high moisture honey prior to storage of the comb. You should extract and store it separately from your “ripe” honey. Though high moisture honey is not suitable for sale, it is safe (and delicious) to consume yourself, as long as you eat it up quickly. It will not ferment overnight; I think you would always have a week or two, and maybe longer depending on the percentage moisture and on storage conditions. And even fermented honey can be used in cooking and baking. If you have too much to use promptly, some of it could be frozen in jars for long term storage, and thawed in small quantities for immediate use. I wish there were more options available for your situation. However, if your monitoring reveals a high mite count, it is better to lose part of your honey crop than to lose entire hives. Good luck. Love all the information on your website, it is very helpful. In the past I have had severe issues with wax moths getting to my spare frames. I would freeze the frames then store them and still end up with a horrible infestation. So, based on other beekeepers’ advice, I placed my super frames in large bags with moth balls. Now it’s time to put my supers on my hives, but I am wondering if the moth ball smell is going to harm or deter the bees. Do you know if they are safe to use at all, if so how long should I air them out? Or is there something I can do to quickly rid them of that smell? A: Freezing is an effective way to kill wax moth larvae, but it doesn’t prevent re-infestation unless you are able to keep the frames in frozen storage until they are put back on the hive. That can monopolize a lot of freezer space. Otherwise, unless you have an air tight storage area, all it takes is one or two moths attracted by the smell of wax to lay enough eggs to damage or destroy all your stored comb. One way to avoid such a waste is to use a chemical repellant. The two chemicals commonly sold to the general public for the control of moths are paradichlorobenzene and naphthalene. The former is the one approved for use by beekeepers to prevent damage from wax moth larvae in stored comb. It is registered as, and sold by beekeeping suppliers under the name of, Para Moth. Products containing the same chemical are sold in non-beekeeping outlets (such as Walmart and other grocery stores), where they are usually labeled “moth crystals.” Paradichlorobenzene is specified because it does not produce residues which will harm bees when equipment (hive bodies, supers, and comb) are placed back on the hive at a later date. Before reuse, it is only necessary to unstack the boxes and place them on their sides in order to expose the combs to the air. If it has been an extended period of time – at least a few weeks – since the Para Moth was applied, an overnight airing should be sufficient. If the chemical was used more recently and still has a detectable odor, I would air them out several days. A word of caution: the product commonly sold as “moth balls” has as its primary ingredient the chemical naphthalene. Naphthalene will ALWAYS leave residues which will later kill bees, no matter how thoroughly the supers are aired out. You need to make sure that it was not an ingredient in whatever product you used. 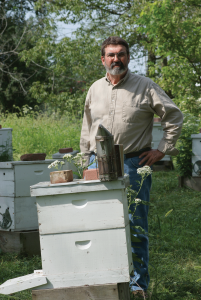 While I was the state apiarist in Kentucky, I received a call one Spring from a new beekeeper who had recently installed a package of bees. Within a couple of weeks, most of them had died. The supplier of the package graciously replaced the bees since the cause of death was unexplained and there was a possibility that they had been harmed in shipping. However, when the bees from the second package also began dying, the beekeeper asked me to visit and investigate. Sometimes the job of state apiarist includes a little detective work. At first I was baffled by “The Case of the Dying Bees”, but I received an important clue when the beekeeper showed me some foundation left over from fitting out frames for the new hive. It had the distinctive odor of naphthalene, the familiar smell which most people associate with moth balls. It turns out that the beekeeper had stored the foundation with moth balls containing naphthalene. Mystery solved. The irony of the situation was that undrawn foundation is of no interest to wax moths, and needs no protection from them. It is not until comb is drawn out that it is at any risk of damage. If it turns out that the product you used contained naphthalene, let me know and I will advise you further. Thank you Phil for such a quick response. After reading your email and doing a little search around our garage, I located the moth ball box and unfortunately it is 99.95% Naphthalene. You mentioned the frames would kill the bees, are the boxes reusable then? I have 4 supers with brand new stamped comb frames heading to the fire pit on the next dry day. I guess I shouldn’t take the advice of everyone on the internet. It’s quite the expensive lesson learned. A: Scrub the boxes with a brush dipped in soapy water. After they dry, sand the insides with medium grit sandpaper. That should enable you to safely re-use them. The frames and comb are, unfortunately, a total loss. Your experience illustrates the importance of using formulated products registered for use with honey bees and sold by beekeeping suppliers. Para Moth is specifically designed to be safe for use with frames and comb for bee hives. 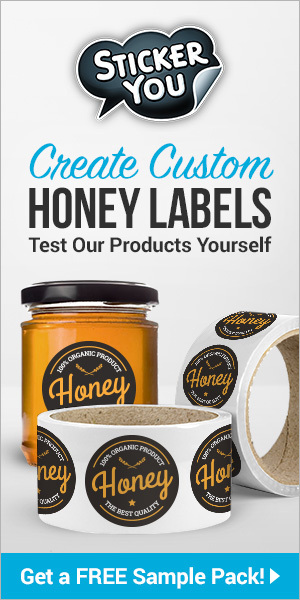 Even commercially available products such as moth crystals, which use paradichlorobenzene instead of naphthalene as a main ingredient, contain additives labeled as “inert ingredients” which have not been tested for their effect on honey bees. You’re not the first to make this mistake. At least, unlike the Kentucky beekeeper I mentioned, you caught your error before killing any bees, so your lesson was less expensive than it might have been. 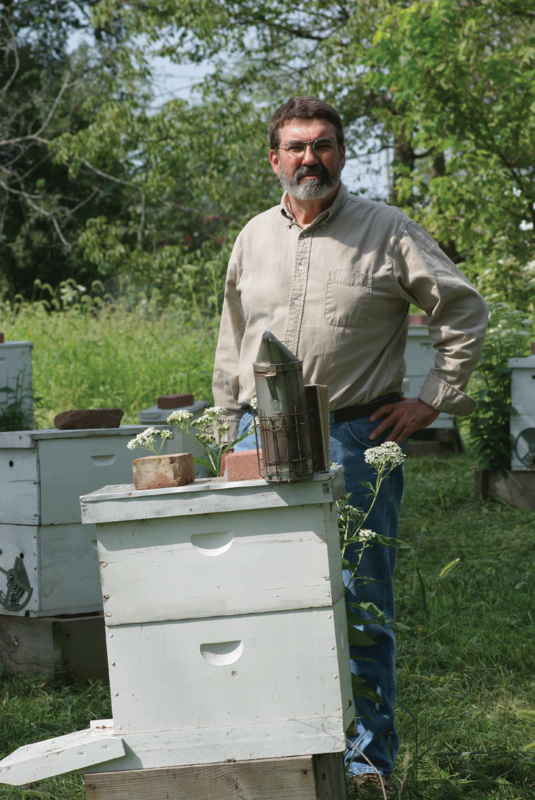 Previous articleCan Solar Sites Help Save The Bees? Next articleAre Beekeepers More Adaptive Or Inventive?